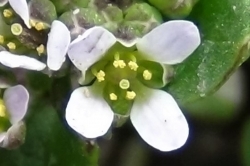 The typical cruciform flowers of a member of the Brassica family. 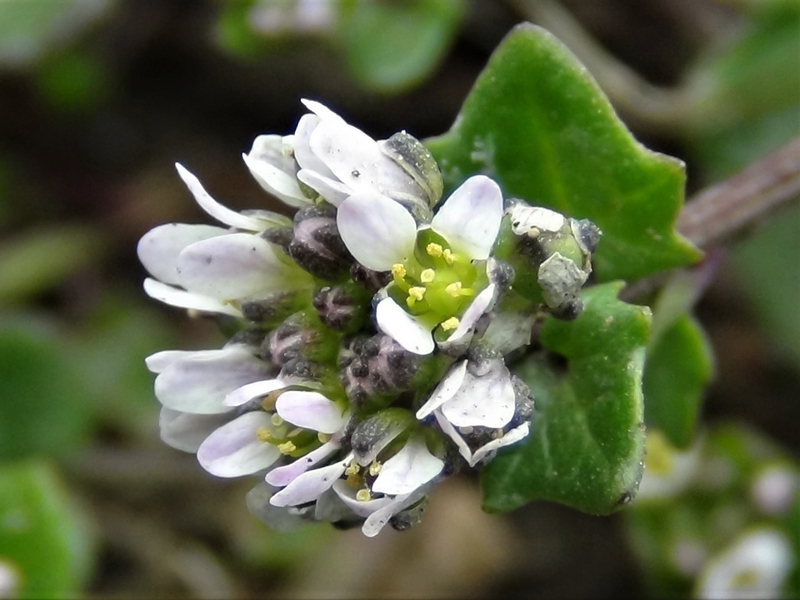 A coastal plant that has made it inland due to salting and gritting of the roads. 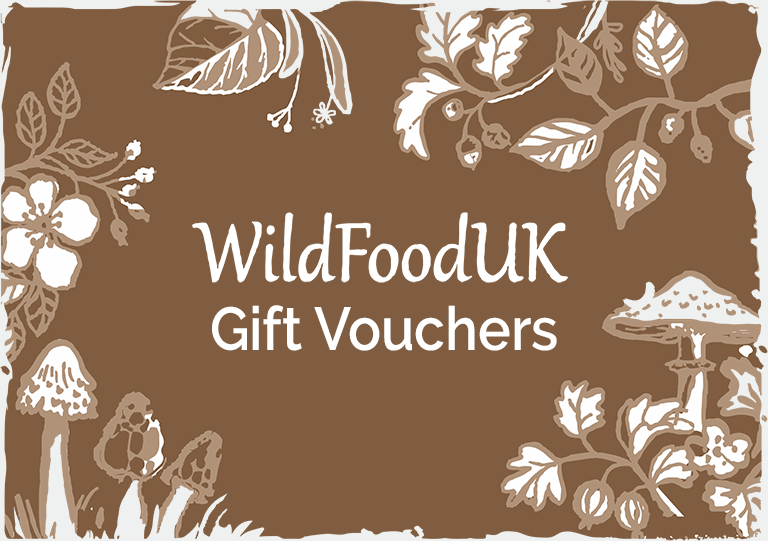 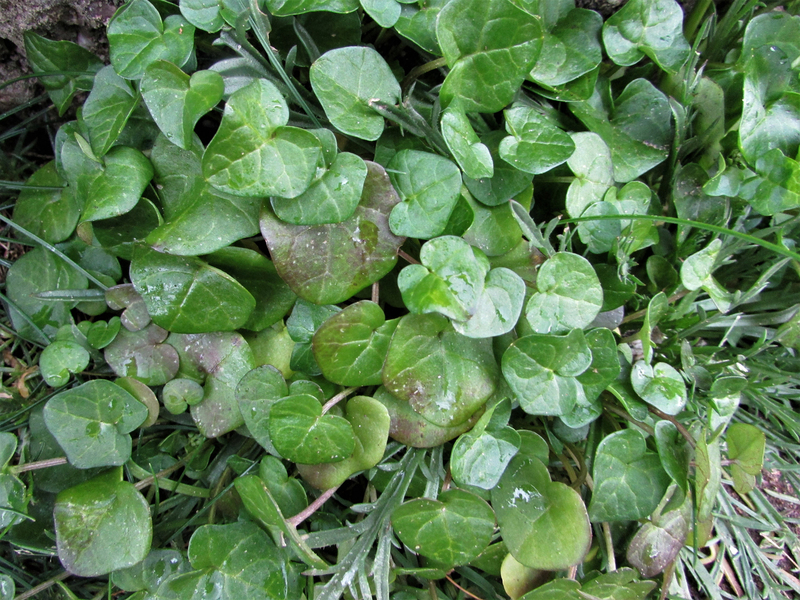 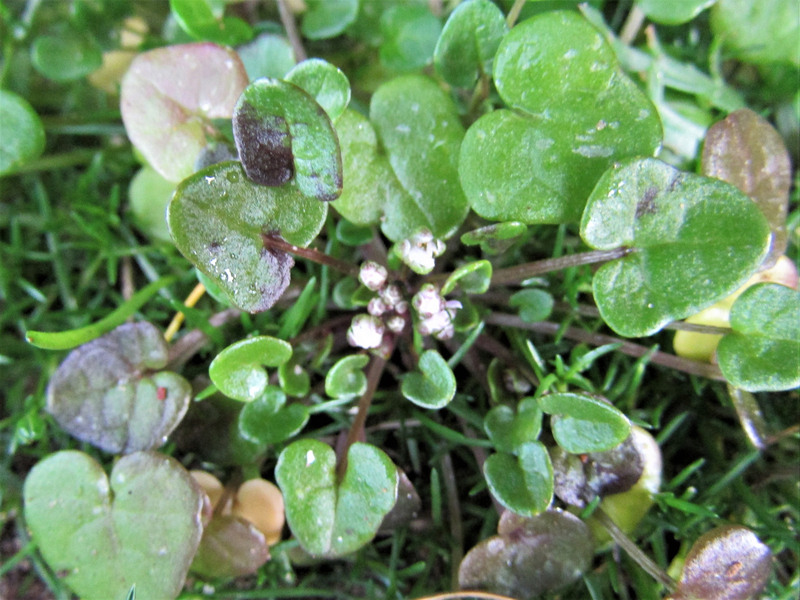 There are two common species, Common Scurvy Grass and Danish Scurvy Grass. 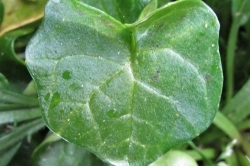 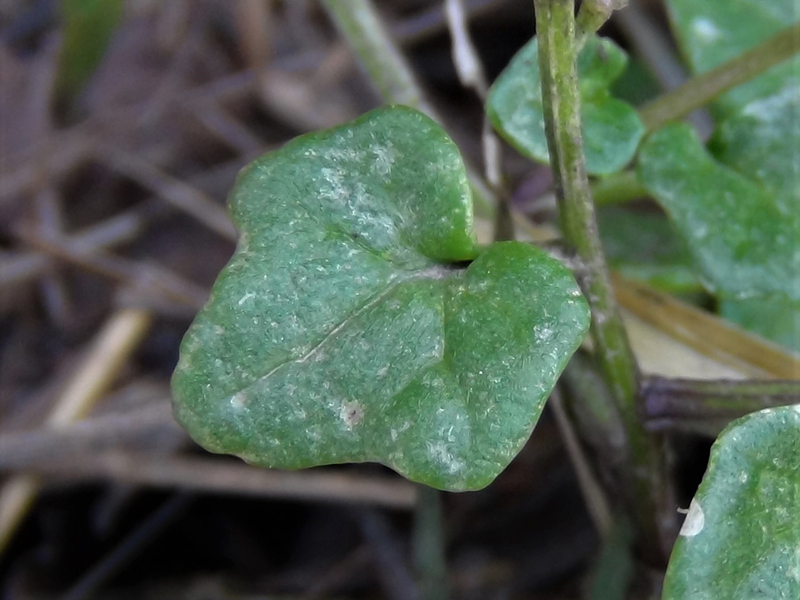 The leaves start off heartshaped but develop two blunt corners on either side of the leaf forming a sort of five cornered star. 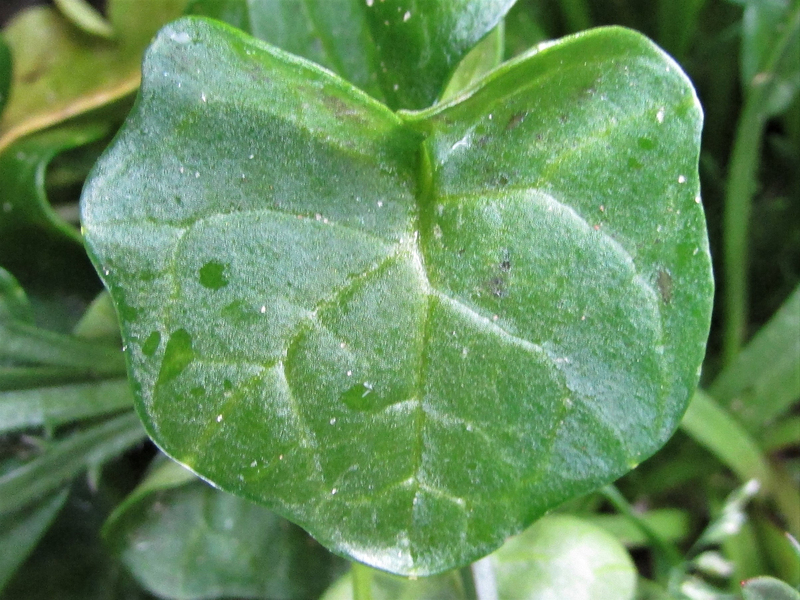 The veins are deep and obvious and usually highlighted by dust or mud. 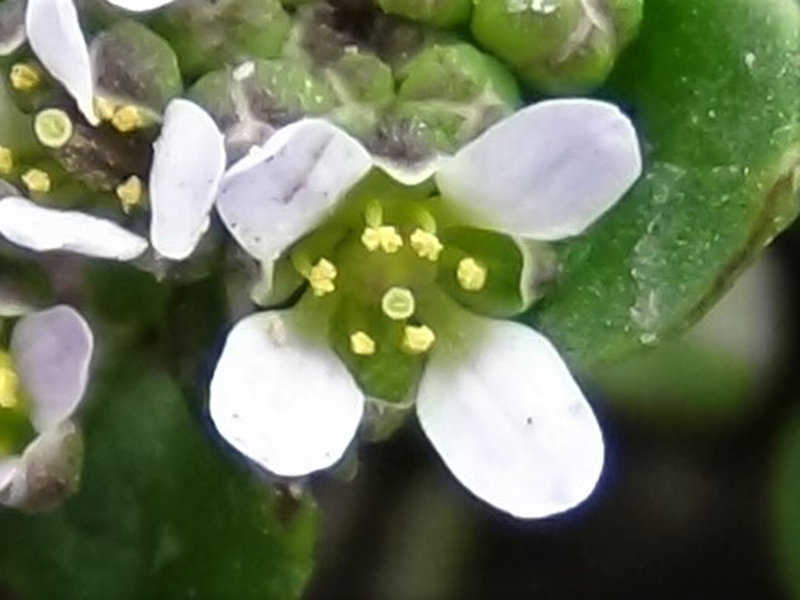 Coming from the cabbage family Scurvy Grass has small florets of white to pink cruciform (cross shaped) flowers from April to August. 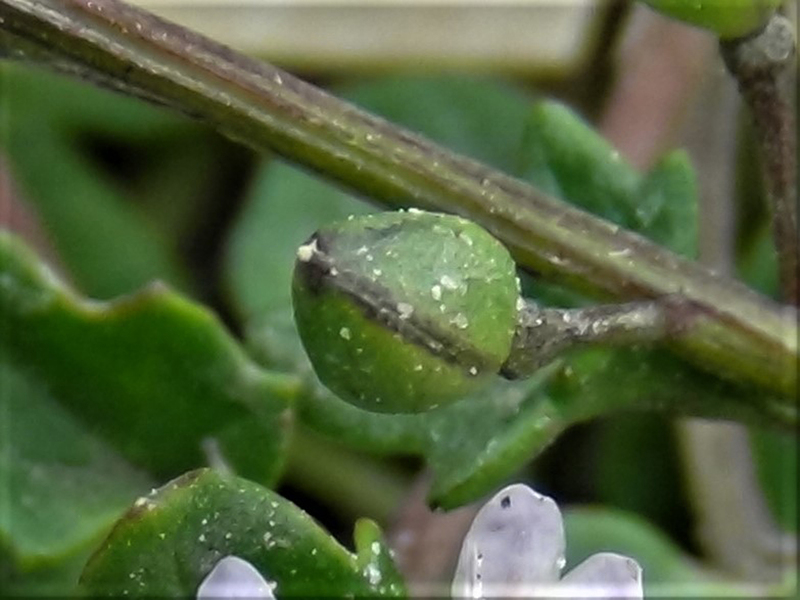 The buds are green, rugby ball shaped and made of four ‘orange’ like segments and appear from June to September. 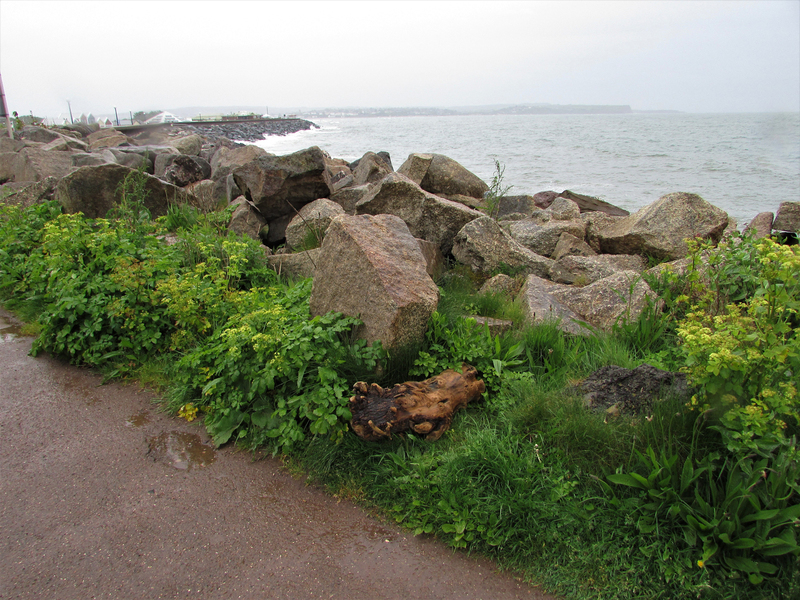 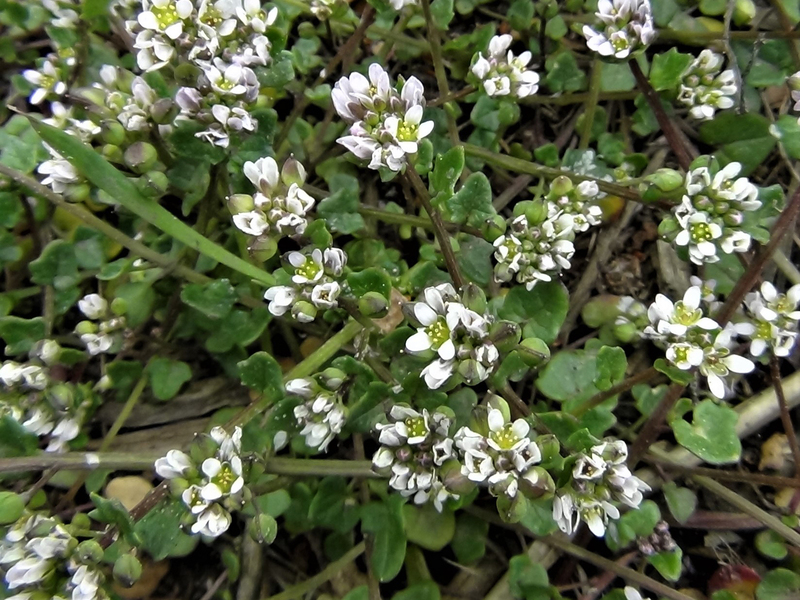 This is a coastal plant but due to the salting of roads in winter it is now more common besides A roads and motorways. 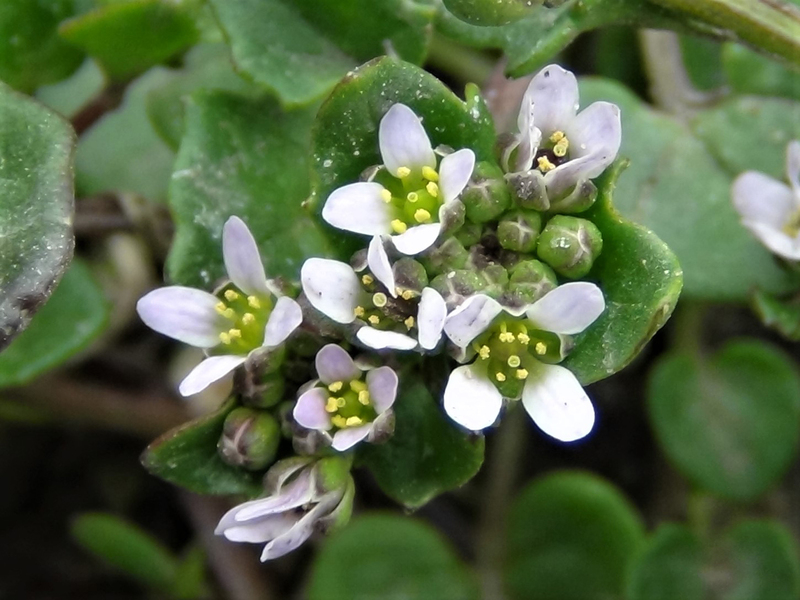 Other species of Scurvy Grass but this would not harm you. 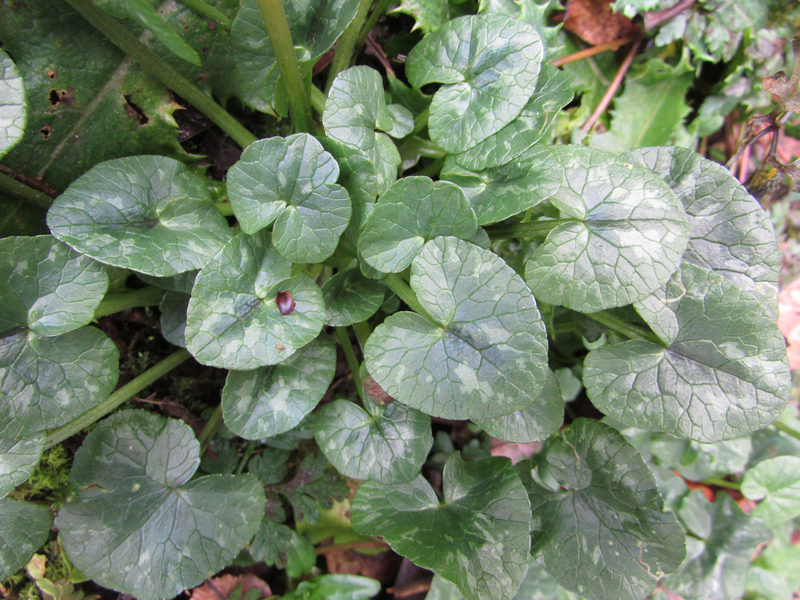 Lesser Celendine, pictured, has similar leaves but the plants grow quite differently and with a small nibble of Celendine you would not get that salty, horseradish taste. 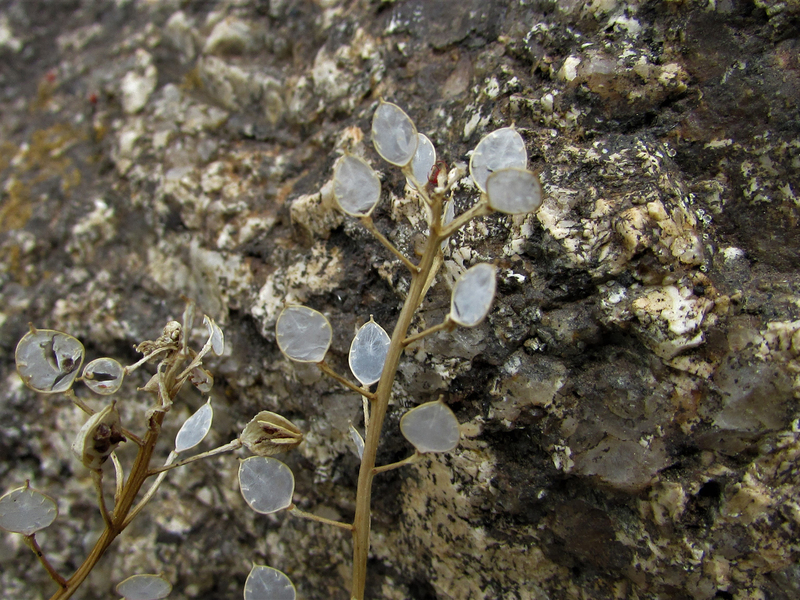 Like salty mustard or horse radish. 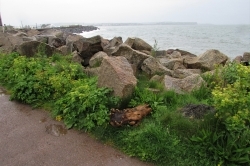 Common around the coast and becoming more so inland with salting and gritting the roads in winter and can be found along many A roads in Spring and Summer. 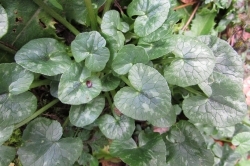 The larger leaves can be quite strong and bitter but the smaller, younger leaves used sparingly are good in salads. 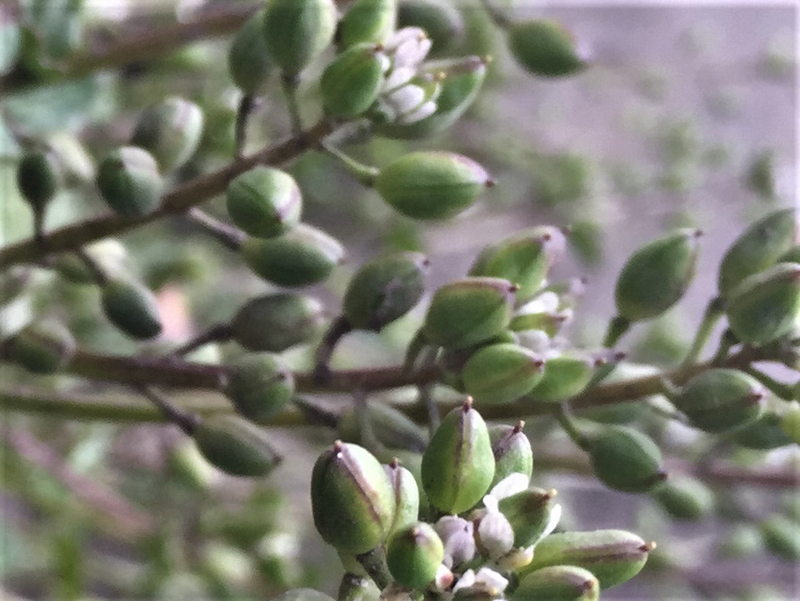 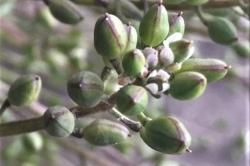 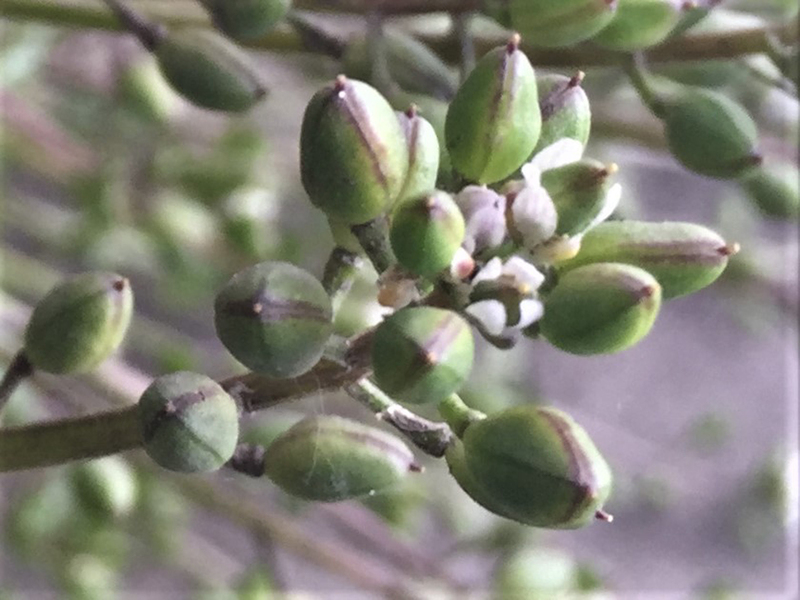 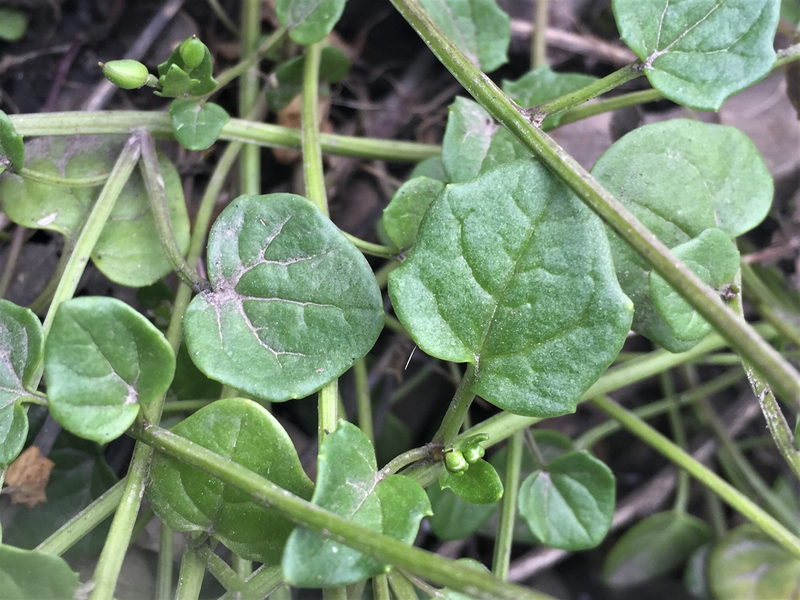 The flower buds can be used as capers with a hot taste. 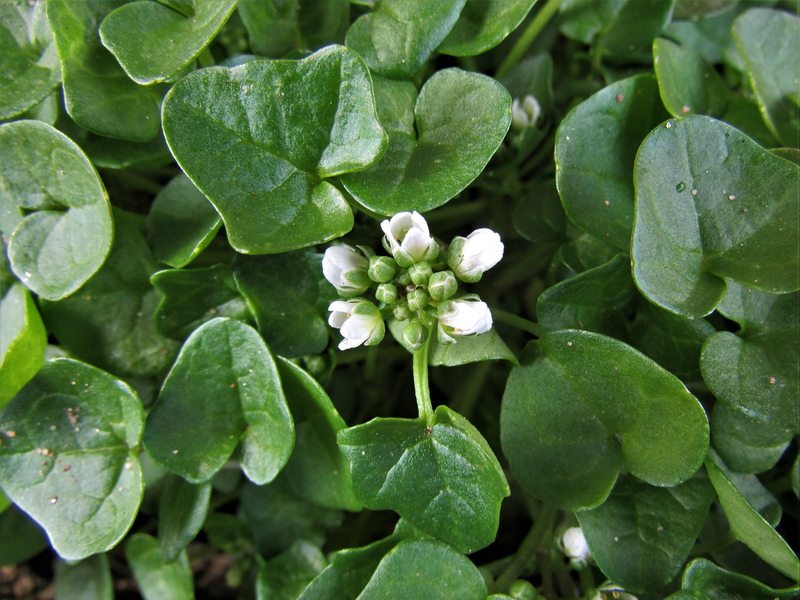 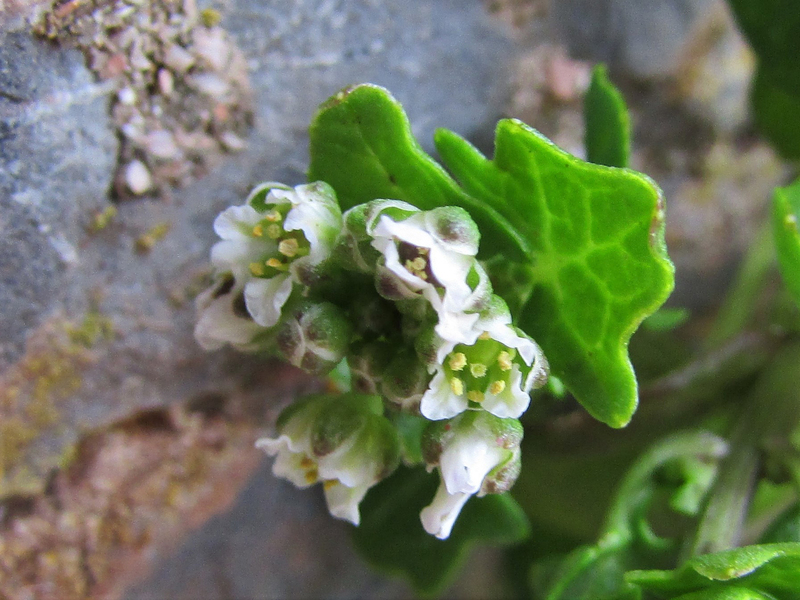 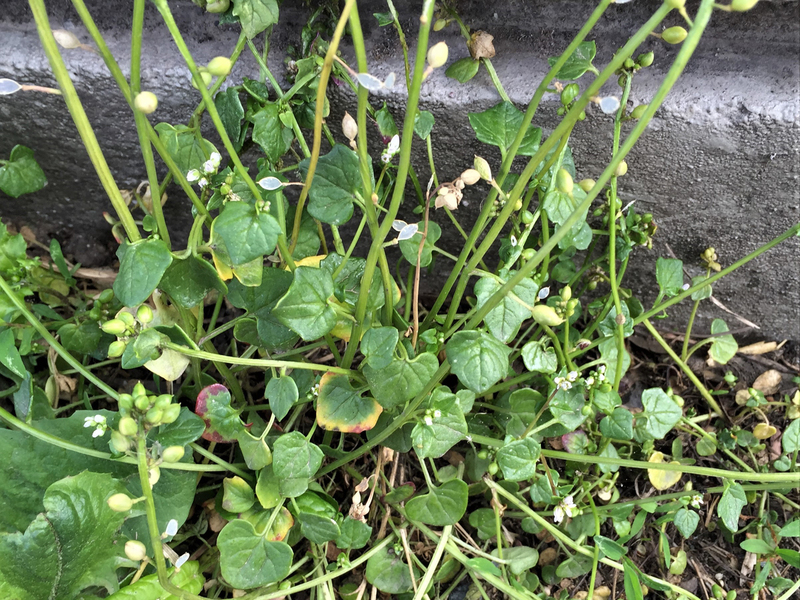 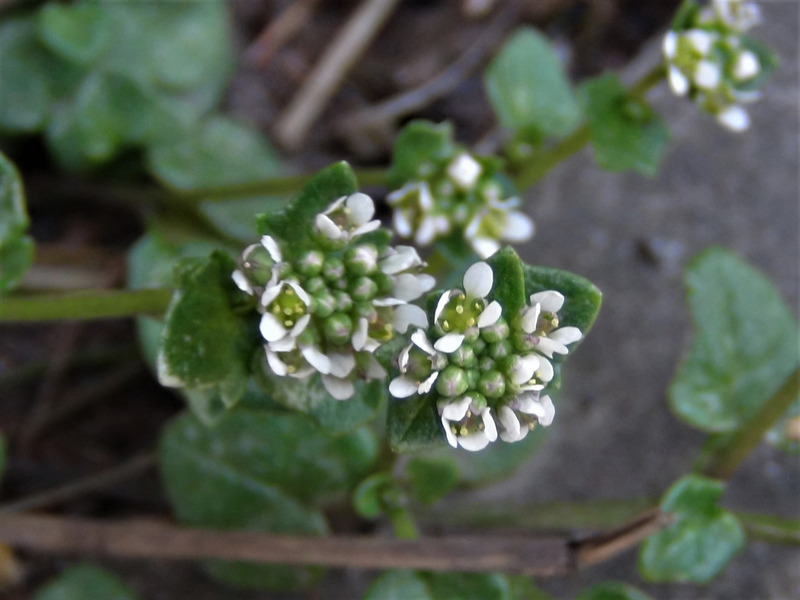 Danish Scurvy Grass, Cochlearia danica and Common Scurvy Grass, Cochlearia officinalis, were used to help prevent scurvy aboard ships as they contain high amounts of vitamin C.
There are several other Scurvy Grass’ in the UK but the two most common are the two mentioned above.